Budapest is one of the most beautiful cities around. We highly recommend visiting while traveling through Eastern Europe. Here's our guide to all things Budapest! Budapest has a lot to offer and it can be hard to pack it all in if you only have a couple days to explore. 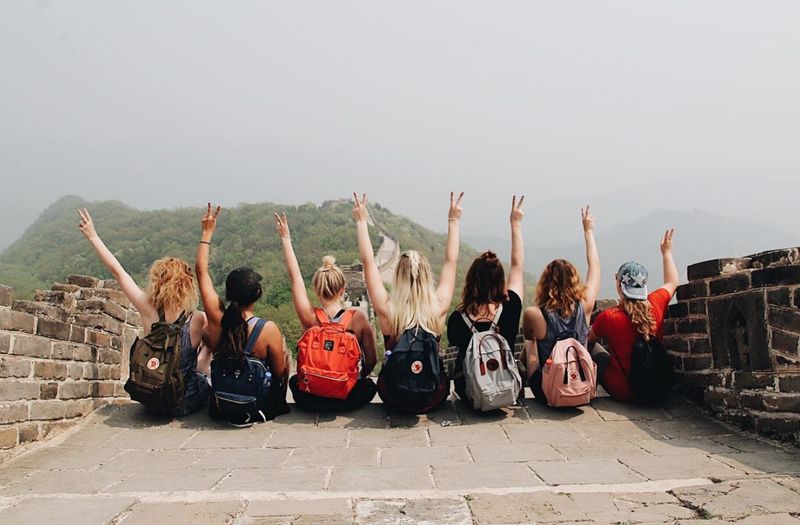 Here are the highlights of where you should go, what you should eat, and other helpful tips to make the most of your time. Want To See The Best Places In Europe? Here's our guide full of countries you need to visit! 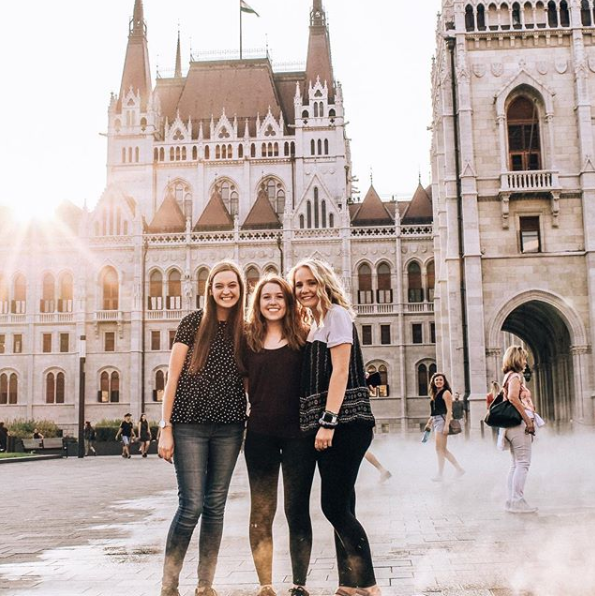 Keep reading to learn all about Budapest and start packing your bags! We're so used to hearing the capitol of Hungary called Budapest, but did you know that Buda and Pest are technically two separate cities? Buda is on the west side of the river and Pest is on the opposite. In 1873 these two cities did merge, a bridge was built in 1849 connecting them, and now it is referred to as Budapest, but both sides of the river are still distinct and unique. 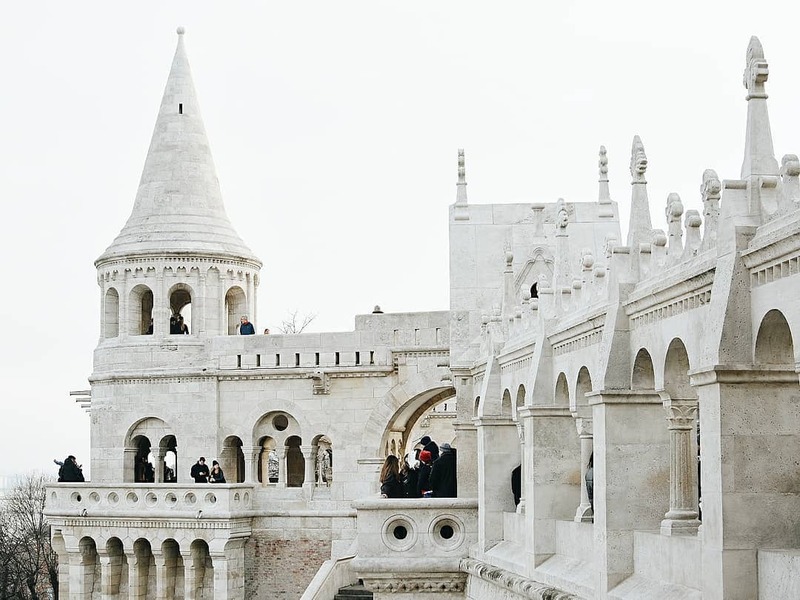 Buda is home to gorgeous panoramic views, and Fisherman's Bastion (the castle you see in all the pics) while Pest is flat and home to a lot of cafes, restaurants, and more nightlife. If you're volunteering with ILP in Ukraine, Romania, Poland, or Lithuania, you can take a bus to Hungary, but it will take you around 12-15 hours (*Poland is shorter at 6 hours). We recommend also taking a look at flight options. Most people recommend spending three full days in Budapest to see everything you want to. That being said, you can pack it into two if needed! Budapest has a lot of options of where to stay but the two best options will be AirBnb or hostels. Check out a few of our recommendations below. This colorful AirBnb sleeps up to six and is a great option of a nice, clean place to stay. It's in a good location and the host will leave you lots of info about how to get around, and where to eat in the area. Price: For two nights the total is about $160. But, split that between six people and it ends up being $13 a night! Can't beat a price like that. Okay, this place is cute! It sleeps up to six and is super cozy. It is in an awesome location where you can easily use public transportation and is a killer deal as well. Price: Two nights ended up being $126 total. Just $11 a night! Pal's Hostel offers lots of options of dorms, and private rooms. It is as close to the city center as you can get and feels super homey and comfortable. They also have weekly activities offered where you can meet other travelers! Price: Prices vary a lot depending on what you're looking for. Dorm rooms are $14 a night per person and private room for four is $45 a night, just to give you an idea. Flow Hostel was opened in 2016 which means it is new and modern. The rooms are simple, but still have everything you need! The staff is also very helpful and can help you get around the city as well as answer questions you have. Price: Dorms start at about $14 a night per person, private rooms are about $67 a night (for four people). 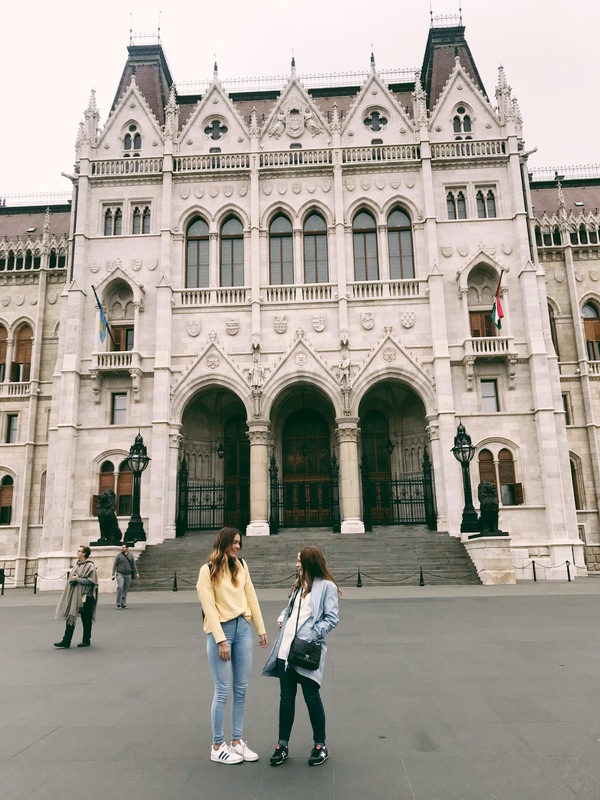 There is so much to do in Budapest! Make sure to check out this blog for even more free things you can do in the city. This is one of the most iconic things you can do here, so it's a must in our eyes. Did you know Budapest is known for their thermal baths? If you don't do anything else in Budapest, do this! The baths are an experience and the perfect place to spend time relaxing and hanging out. 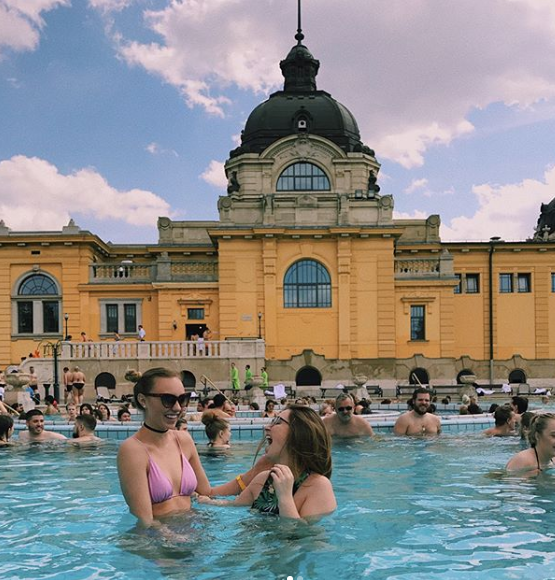 Budapest has several different baths but the one we'd recommend visiting is the Szechenyi thermal baths; it is an ILP volunteer favorite! Read our post with all the info you need and more pictures of this awesome place. The Hungarian National Gallery is full of unique art from artists throughout Hungary. The pieces vary and you will have thousands to look at. This gave me deeper appreciation for the country and the culture. Plan on spending 1.5 to 3 hours here depending on how much you want to see! Fisherman's Bastion is on Castle Hill. It has seven towers you can walk through and beautiful views of the river and other surrounding areas. Take lots of pictures of this beautiful place and soak it all in. This was definitely my favorite view point in Budapest! Though it's not a haunted house (sounds like it!) this place is still pretty creepy. This is a museum dedicated to show what communism was like in the 20th century in Hungary. There are several floors and the basement was actually a prison and torture chamber at one point. See ... creepy! Address: 1062 Budapest, Andrássy út 60. 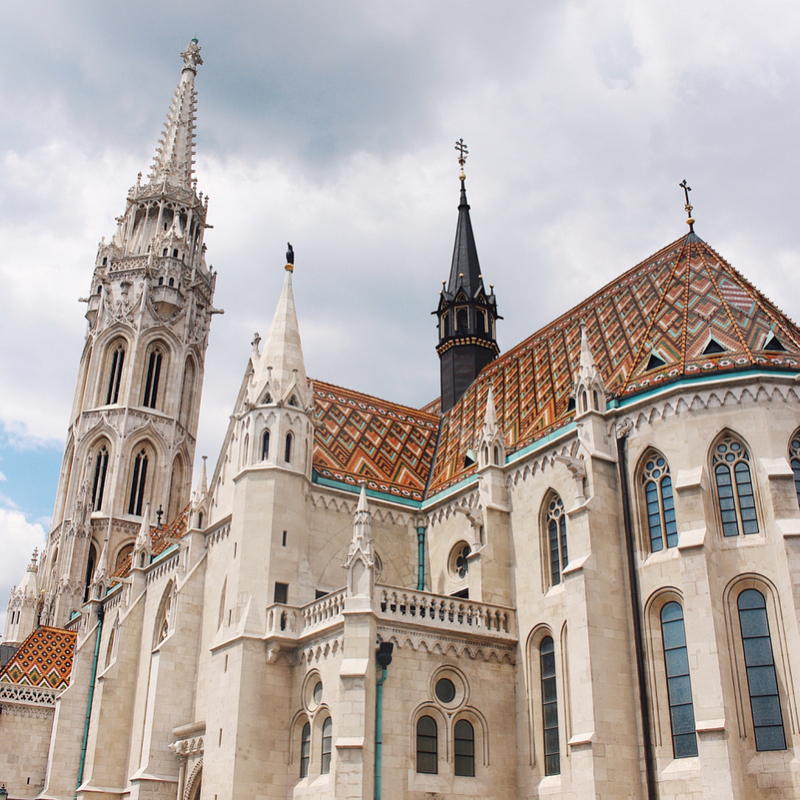 You won't be able to miss this huge, intricate building as you walk around Budapest. Make sure to walk around all sides and take pictures in the day time as well as in night. It is magical at sunset and will be the perfect postcard picture! Margret Island is a small island on the Danube river. It is a great little place to relax for a few hours. You can visit rose gardens, rent bikes, stroll through the trails, visit the swimming pool, and watch the fountains dance to classical music. You'll find a lot of locals here and you'll quickly see why it is such a popular destination. How To Get There: There are a few ways. Check out this post for a couple different options and instructions! 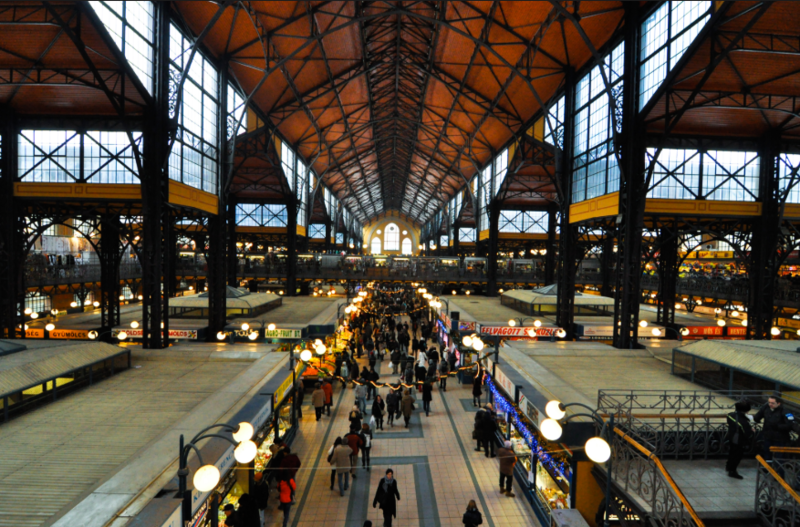 This is the most famous market in Budapest and where many locals go to do their shopping. You can find local fruits and vegetables in booths, as well as traditional Hungarian food upstairs. This is the perfect place to go grab a snack and people watch as you are exploring the city. I'm all about trying food when traveling. Here are a few restaurants you can't miss out on while exploring Budapest. This cafe has been open since the 60's and still has original decor, taking you back in time. With simple Hungarian dishes and a laid back atmosphere you'll find locals like to come grab their favorite meals and chat. Another local favorite full of ambiance. Make sure you try their over sized schnitzel when you visit — it is delicious! Locals love the cold fruit soup in the summer as well. Get out of your comfort zone and try a few new things, you won't regret it here. You'll quickly realize how popular this place is (it is packed!) If you go, you can't go wrong with anything you order. But, we'd definitely recommend trying the goulash and the layered potatoes. If you're a meat lover this place is for you. Their sausage is amazing and is usually paired with some pickled vegetables, mustard, and bread. Seriously yummy! This isn't a sit down restaurant, so plan on grabbing your food at finding a place nearby to eat and people watch. Most of the main sites of Budapest are within walking distance, but if you don't feel like walking Budapest has great transportation that can get you anywhere in the city (including the thermal baths which are a bit out of the way). Whether you take a bus, the metro, trolleybus, or just walk by foot you can't go wrong. The metro is a great option if you are wanting to get from point A to point B quickly, or if your destination is further than you were hoping to walk. There are three main metro lines and maps in every station so you can plan the best way to get to your destination. Metros leave about every two minutes during peak times so you can hop on one pretty quickly! Buses and trolleybuses are another nice way to get around. They run from 4:30 am to 11pm, which means you are covered all day! Here is more info about the buses and the routes they take. Want to learn more about ILP? 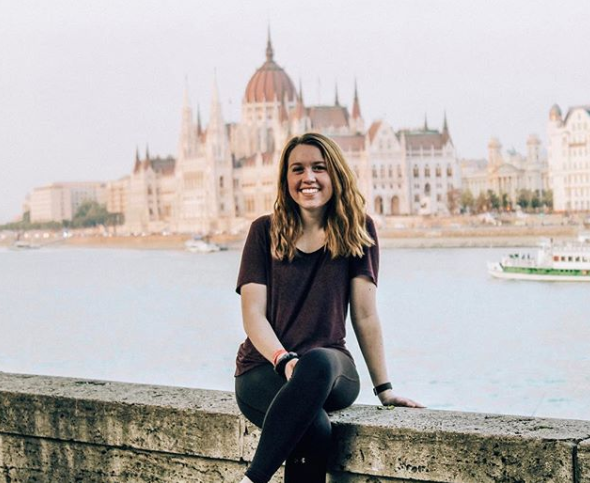 Click the button below to learn more about what you'll experience during a semester abroad in Europe with International Language Programs (ILP).